In the late 1970s, Generation X was the name of a punk band headed up by Billy Idol. He later went on to dance with himself as a solo artist. And that’s when the label stuck. I’ve always liked it for some reason. Now they refer to us as the “forgotten” generation (when they refer to us at all). The media basically ignores Generation X, treating us as the “middle children” between Baby Boomers and Millennials. Well, I’ll go ahead and say it — I love my generation. We’re the most resilient, adaptable, and entrepreneurial group in the history of the planet. Let them ignore and underestimate us … what’s new? There are over 64 million Gen Xers in the USA alone. In a decade, we’ll outnumber the Baby Boomers and be firmly in charge. Maybe we’ll even fix the mess we’ve been handed. Health: Thanks to the billions being poured into longevity research and almost weekly news of promising advances, it’s likely we’ll be the first generation to fully benefit from treatments that defeat the diseases of aging. We just have to stay healthy and live long enough to live much longer by minimizing the usual downside of aging. It’s all about getting better at getting older. Wealth: The traditional concept of retirement is already falling apart, and it’s not like we’re flush with retirement funds thanks to the debacle of 2008. Meanwhile, robotics, automation, and AI may not destroy our careers, but they will radically change our roles. It’s time to think in terms of our own personal enterprises instead of jobs, and seek out work that gives us a sense of purpose. Personal Growth: One of the best things about getting a bit older is becoming wiser. The processor may be a little slower, but our software is getting damn good. The key to surviving and thriving in an accelerating world is to learn constantly, make better decisions, and perform at our best. In the process, we have the opportunity to become the versions of ourselves that we aspire to. These big opportunities and challenges are why Further exists. One weekly email with the top hand-picked resources for living a long, prosperous, and meaningful life. Generation X has never been fond of authority. We’re not looking for a guru to save us. We’ve always just stepped up and got it done for ourselves. And that’s the perfect attitude for the modern world. There’s plenty of great information out there on how to improve your health, enhance your career and investments, and become your best self. That said, you don’t have time to sift through the mountain of information released each day. And you really don’t have time to separate the fake and fluff from the solid, research-based resources that help you live your best life. That’s our job, and we deliver only the best selections each week by email. Sign up below to join us, and let’s get started. The best part of the journey is just beginning. No, that’s not literally the plot of Generation X. It’s a story about young adults of the same age set about six years later. 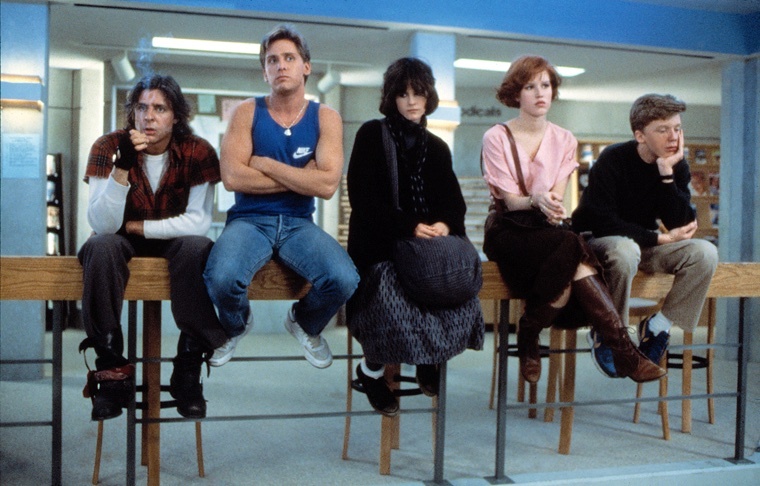 But both the book and The Breakfast Club feature main characters named Claire and Andy, so there’s that.